DCoré+ is THE innovation in the world of decorated chocolate! 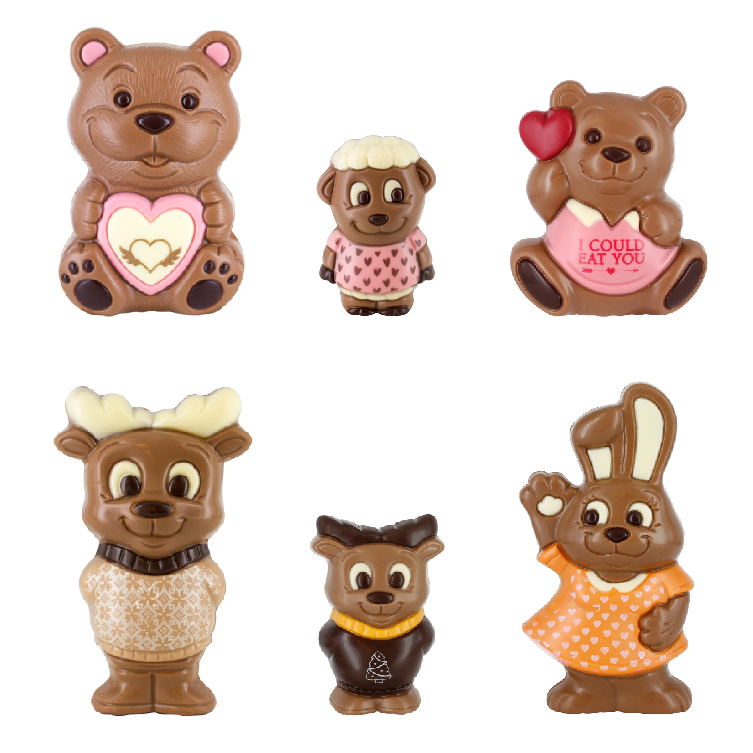 Our unique and patented method for printing on hollow chocolate figurines adds incredible detail and character. DCoré+ makes chocolate look so sweet and lovable. Design your own unique, sweet and lovable creations! Next to our standard DCoré+ range, we have other cute chocolate figurines available starting from agreed minimum order quantities. Select your favourite figurine, decide on colouring, create your signature look by adding your logo, your text or your design and package it to perfection. Select one of the many different packaging options to add the perfect finishing touch to your custom made chocolate figurine. The possibilities are endless! Watch the video to see how easy it is to bring something genuinely unique to memorable occasions! CONTACT US TO BRING YOUR IDEAS TO LIFE!